Modern up-graded ignition to replace the standard DT400 system on 1977 & 78 models. Increased performance through modern dynamic timing curve (stock is fixed). 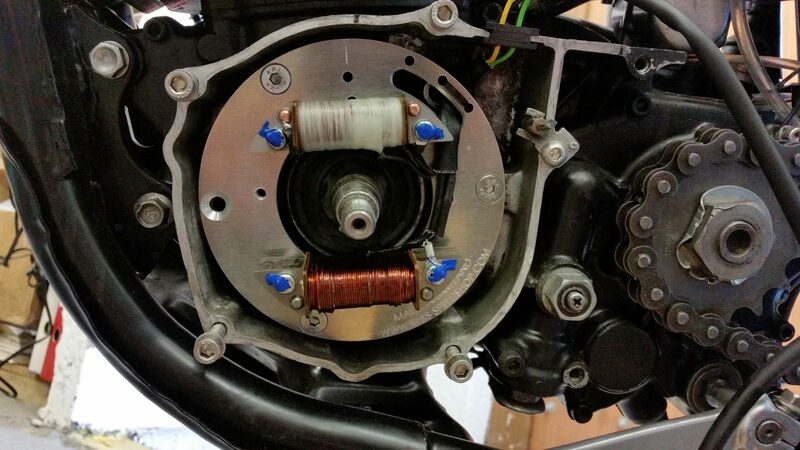 New billet stator bolts on with minimum effort and no fiddling about with timing – fit and go. Electrics plug in to the stock Yamaha electrical system (requires un-modified Yamaha wiring loom). 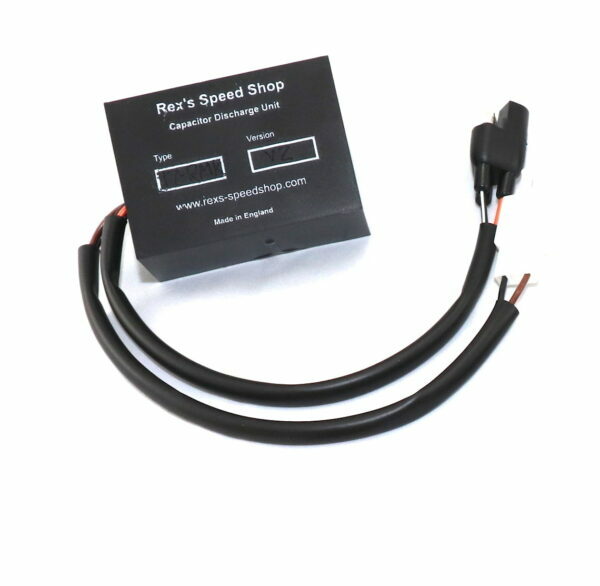 Rex’s ignition replaces the stator, CDi unit, lighting coil, regulator & rectifier – and gives a nice boost in power too! We’ve taken away all the guess work from fitting and timing making this kit simple to install. The 12 volt kits plug directly in to standard wiring looms, no crimping or wiring needed*. You won’t even need a timing light! Requires no timing adjustment, no timing light – simply bolt on and go. 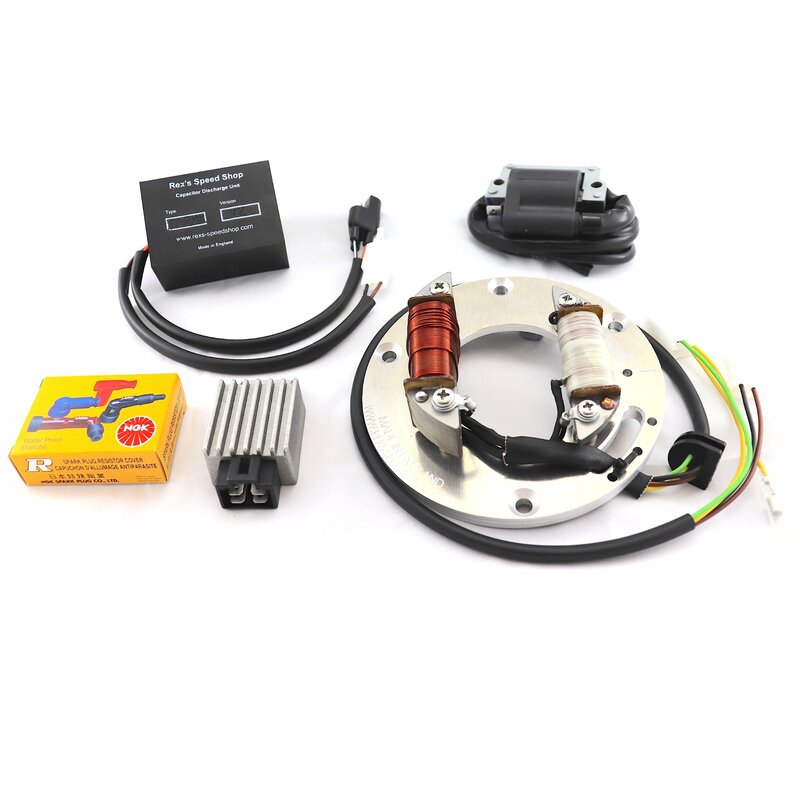 The kit contains; a new 12 volt stator and ignition source coil, 12 volt lighting coil, electronic ignition unit, new HT coil, voltage regulator & fitting manual. Not included: Battery, bulbs, 12V horn and indicator relay. *assuming a completely standard loom with all its correct connectors. 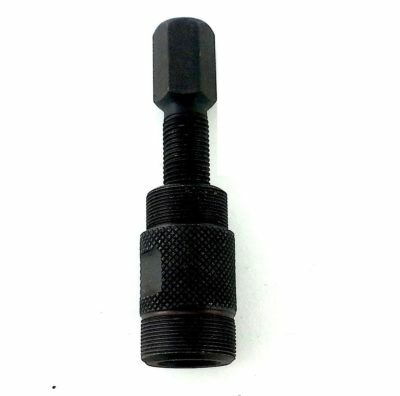 Our bolt on kits assume a standard engine or one with only minor tuning modifications, eg only exhaust pipe changes or carb improvements. Engines that have been bored out or those that have been significantly tuned will need a slotted stator to allow the base timing to be dialled in to suit the different state of tune. 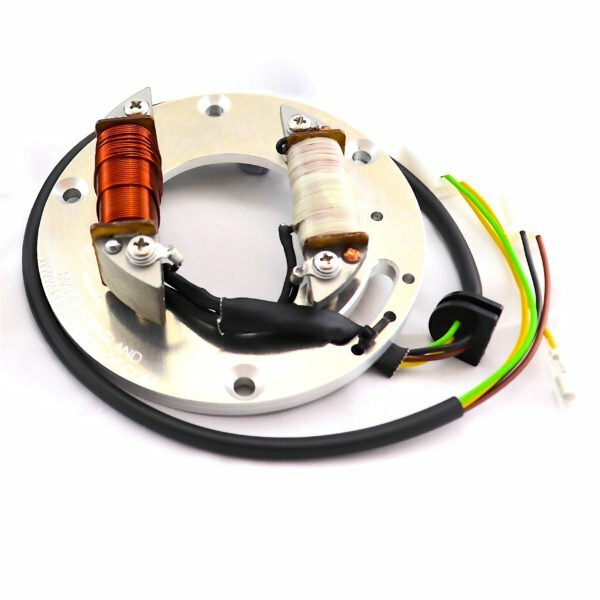 See kit RMK-15 for adjustable 25 watt competition ignition with adjustable stator.